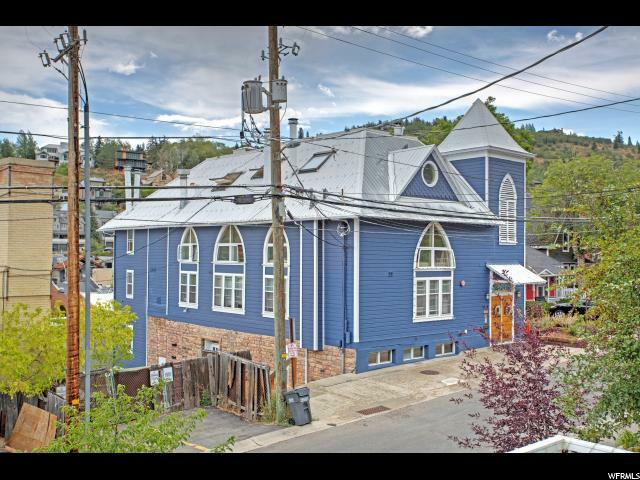 All BLUE CHURCH LODGE homes currently listed for sale in Park City as of 04/18/2019 are shown below. You can change the search criteria at any time by pressing the 'Change Search' button below. "GREAT INVESTMENT PROPERTY! Spacious three bedroom, three bathroom updated one level condo with lockout capacity make this a fabulous home from home in the heart of all Park City has to offer or a fantastic investment opportunity. Fully furnished and turnkey with property management located onsite. Special features include beautiful stained glass hallway windows, wood floors, massive community indoor hot tub, and complementary continental breakfast during ski season. Steps away from Main Street and the town lift. " "GREAT INVESTMENT PROPERTY! Beautifully appointed two bedroom Blue Church condo. Just steps from the town ski lift and Main Street. Ditch your Uber app because you can walk to just about everything you need to be part of Park City life - shops, restaurants, bars, skiing and of course - summer concerts! Start your day with a fantastic complementary breakfast (served during ski season) then after slogging it out on the slopes, come home to a warm fire or a long, hot soak in the enormous indoor or outdoor jacuzzi. With this condo's unbeatable location and fabulous 2014 renovation it's also a hot item for nightly rentals too, especially with it's upper level lockout. The Blue Church Lodge has a built in repeat customer clientele base and experienced property management staff to help you take care of all the details involved with running a rental business!"